A female doctor was axed to death by a man in a hospital in North China's Tianjin municipality on Thursday, police sources have confirmed. 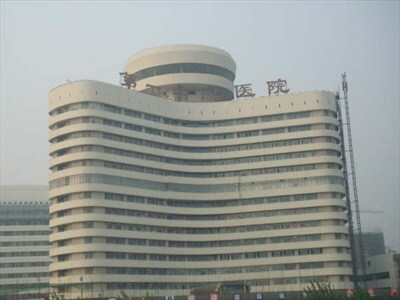 Kang Hongqian was attacked and killed at around 1:30 pm by the axe-wielding man in her clinic on the second floor of the No 1 Hospital, which is affiliated to the Tianjin University of Traditional Chinese Medicine, sources said. Kang, who was on duty at the time of the incident, was a chief doctor with the department of acupuncture at the hospital. The attacker, whose identity is not known, jumped out of the building after the attack and wounded himself. He is now under police custody. The scene has been cordoned off by police, who are investigating the cause of the attack. wrong picture. the murdur did not happen in this hospital but another one.